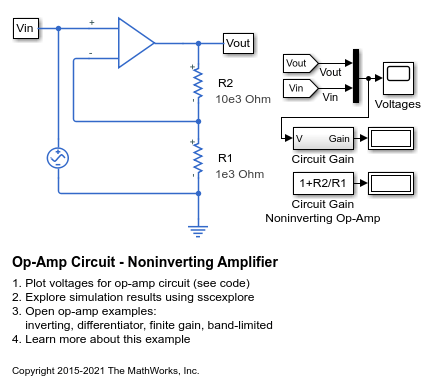 This model shows a noninverting op-amp circuit. 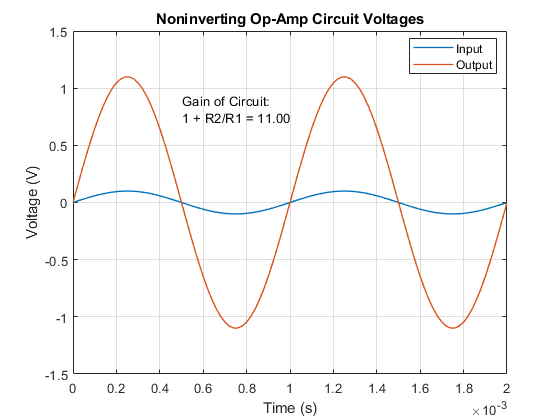 The gain is given by 1+R2/R1, and with the values set to R1=1K Ohm and R2=10K Ohm, the 0.1V peak-to-peak input voltage is amplified to 1.1V peak-to-peak. As the Op-Amp block implements an ideal (i.e. 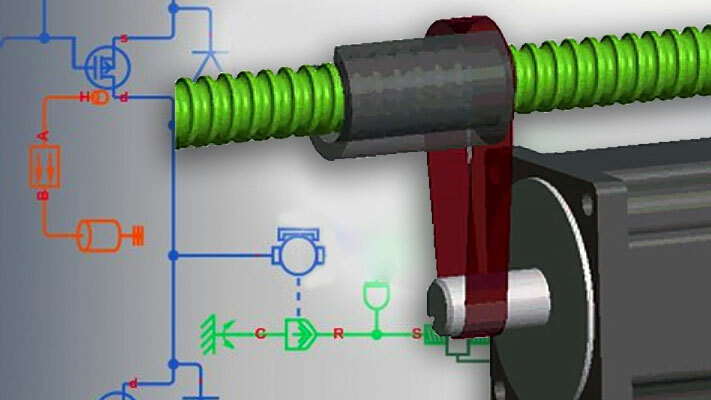 infinite gain) device, this gain is achieved regardless of output load.